With time off blockers, you can block days team members can request time off. 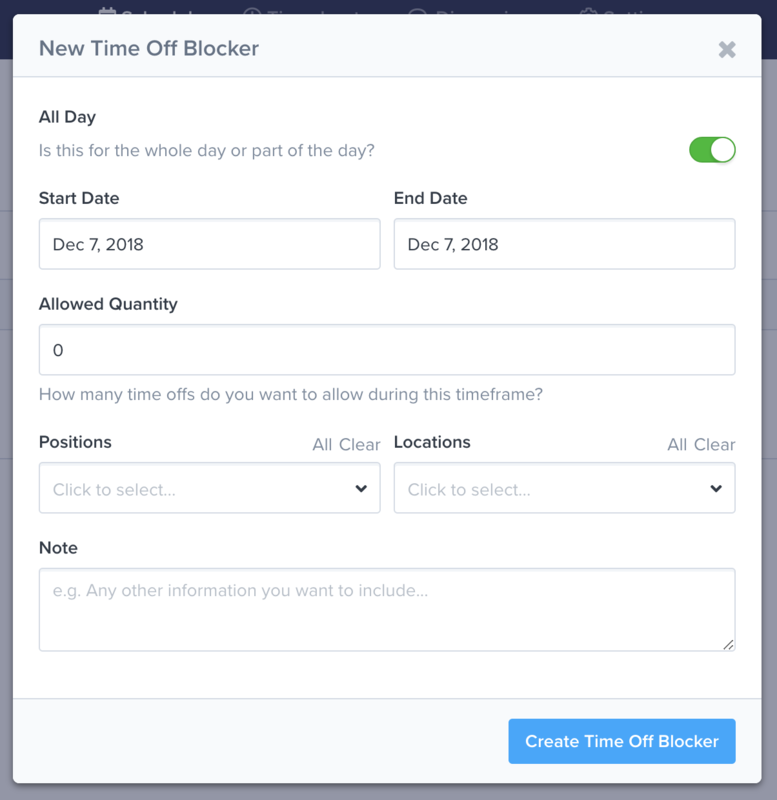 This article shows how to create and edit time off blockers. Note: Time off blockers require Time Offs to be enabled. 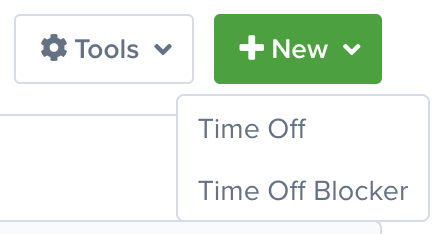 You can enable time offs from the Settings => Schedule Settings => Time Offs page. To create a new time off blocker, go to the Schedule => Time Offs page and click on the New button. Then click the Time Off Blocker option. All Day & Date Fields You can block time off requests for multiple days or part of the day. Use these fields to change the range. Allowed Quantity Limit the number of time off requests you allow. Any requests over this setting will be blocked. Positions Limit this time off blocker to specific positions. If you do not specify, the time off blocker will apply to your entire team. Locations Limit this time off blocker to specific locations. If you do not specify, the time off blocker will apply to your entire team. Note You can give your team a reason behind the time off blocker. Once you submit the form, you should see the time off blocker on the calendar. If you don't see the time off blocker, check your filters and date range. To edit a time off blocker, click on it. You will see a pop-up window with a form like the one above. Update the fields and submit the form. To delete the time off blocker, click on it. Then click the Delete button.